Okay, enough with the eggs for breakfast every morning. 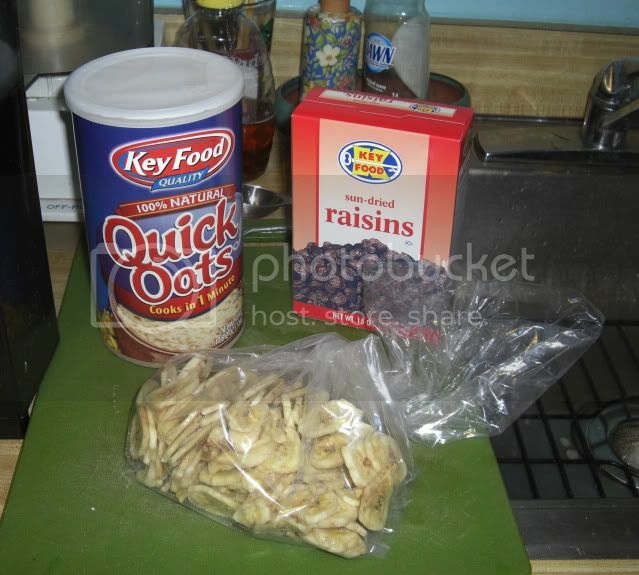 Today I headed to Key Foods and picked up some oatmeal and raisins. Then I popped in to the fruit and vegetable store next door and picked up about half a pound of dried bananas. The oatmeal was $1.29 for one pound two ounces, the raisins were $1.69 for 15 ounces and the dried bananas were $.74 for about half a pound. I measured out a cup of the oatmeal (I have the feeling I bought a month's worth) and an appropriate amount of the raisins and dried bananas. And for those of you who might think that Bar Man can't cook, just look at this. And I did it without any help from the Mysterious Chinese Woman. The oatmeal is the instant kind and cooks in just over a minute once you throw it into the water THAT I BOILED ALL BY MYSELF!!! 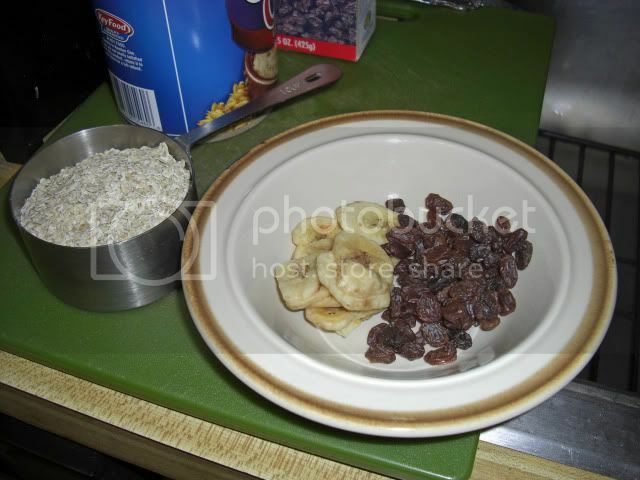 I also threw in the raisins and dried bananas. 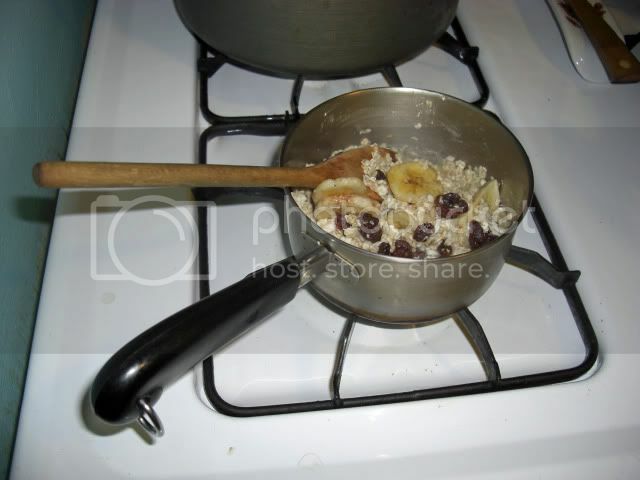 When it was finished I had a big, and filling, bowl of, well, oatmeal, raisins, and bananas, no longer so dried. It was very satisfying and, the Mysterious Chinese Woman will love to hear this, I may start having oatmeal for breakfast more often. 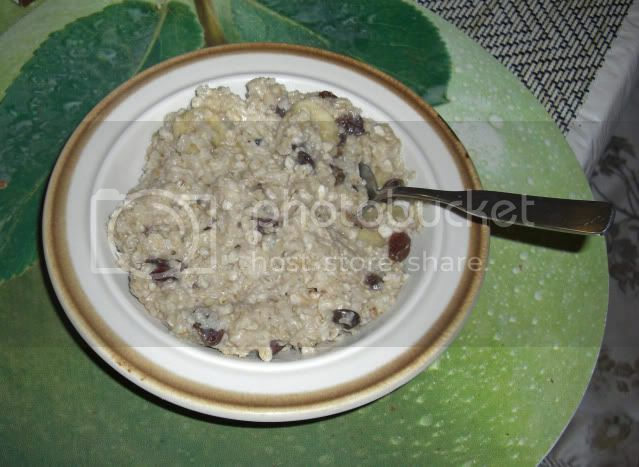 Not that thin, prison gruel stuff that she seems to favor, but a manly thick and chewy concoction like I made. 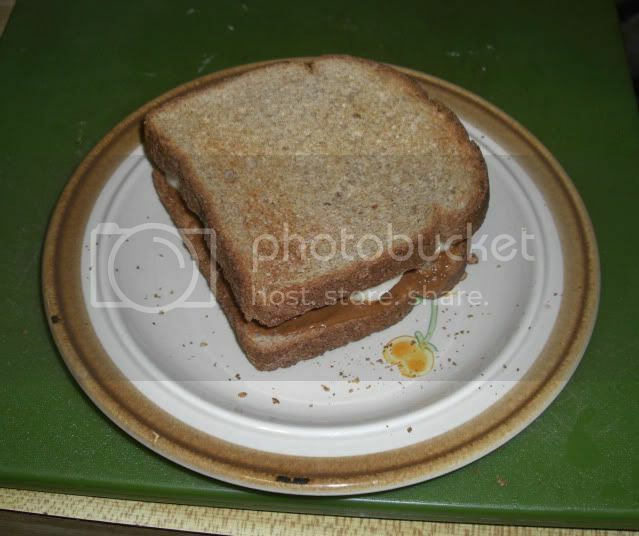 For lunch I had, drum roll please, a peanut butter and banana sandwich. I figured I would take a break from my rice and beans for dinner so I decided to make myself some pasta. I also figured it was about time for me to do something with my acorn squash before it just sat around and became inedible. I always like to prepare my misa-mess or whatever you call it. 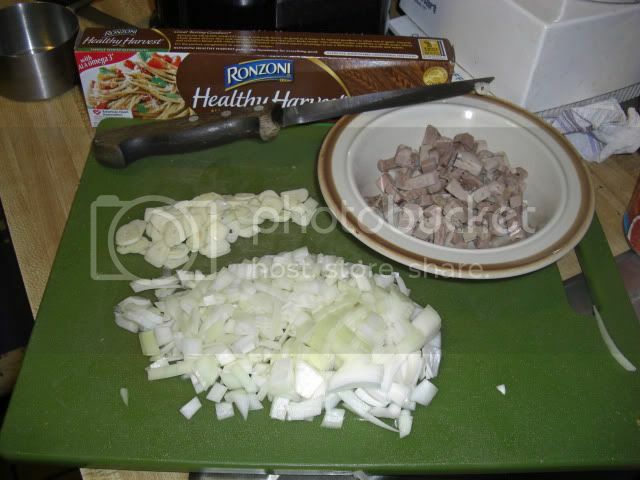 You know, getting everything ready before you start to cook. 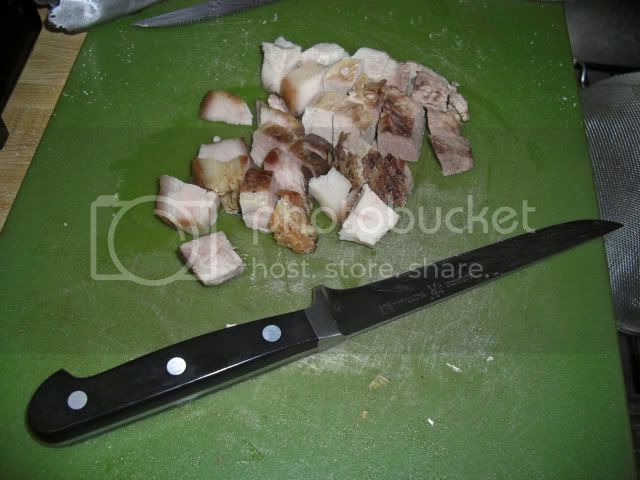 This involved chopping the garlic and onion and cubing a decent amount of the pork shoulder. The first step was to separate out the little chunks of just the pork fat and then crisp that up with about a teaspoon of olive oil. 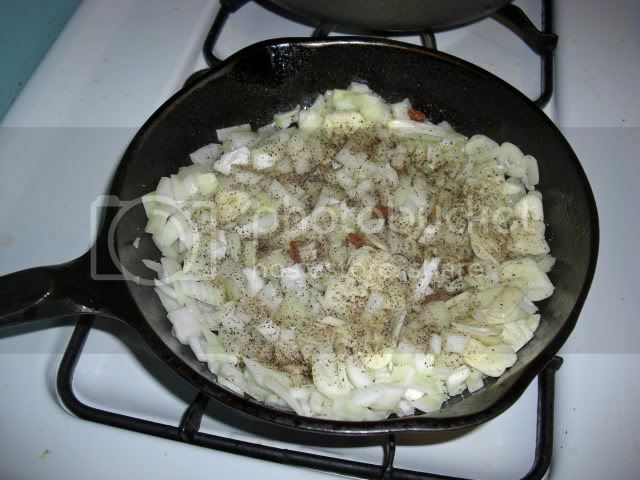 After the fat was all crisped up, and a bit of the fat was rendered out adding to the olive oil, I threw in the onions and garlic with some salt and pepper. 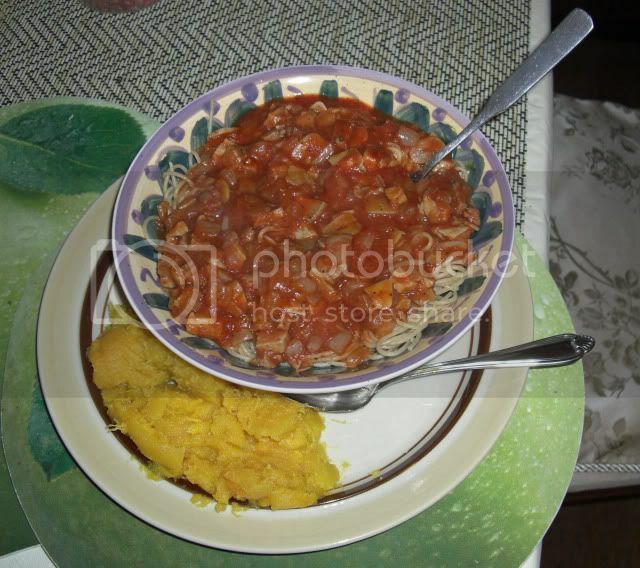 Now, while the onions and garlic were slowing turning translucent, I prepared the squash. 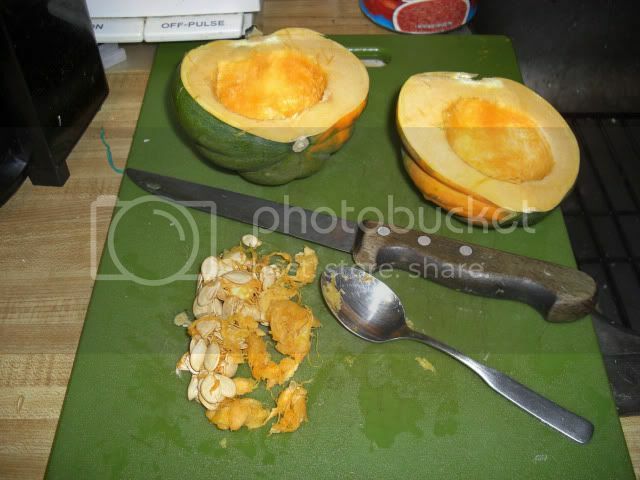 First, I simply cut it in half and scooped out all of the seeds and stuff. 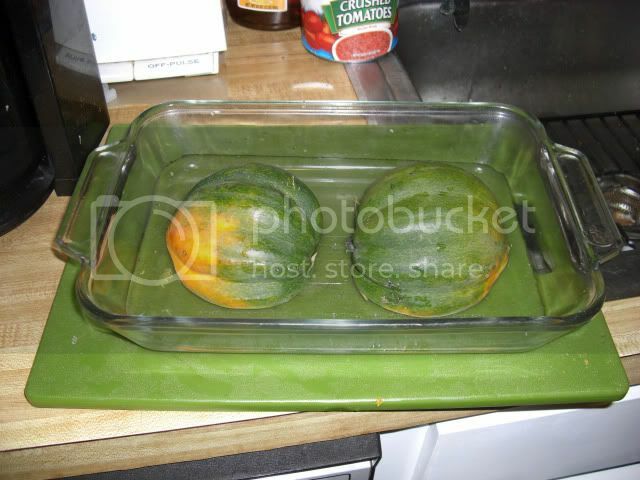 Then I just placed them face down on in a baking pan with about a quarter of an inch of water in the bottom. Well, where else would the water be? Floating on top, somehow? Then I just popped them into the oven at 350 F where they would spend the next 45 minutes. 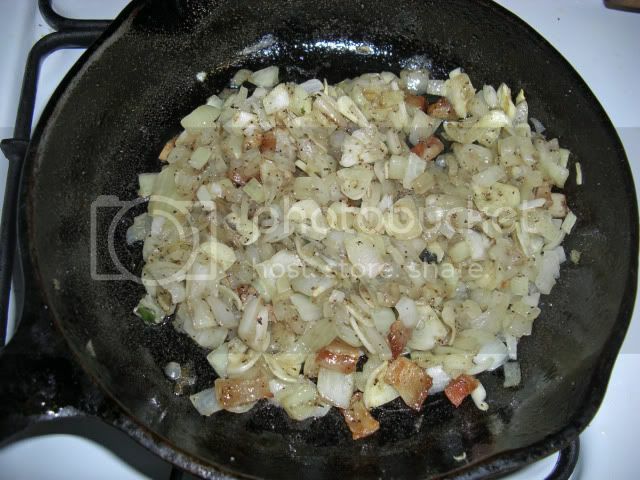 Meanwhile, I was stirring the onion, garlic, pork fat mixture until everything looked right. The onion and garlic translucent and soft and the pork fat already nicely crisped up. 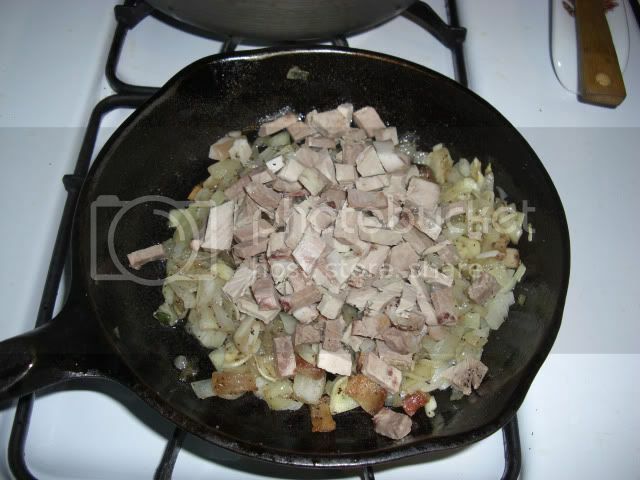 The next step was to simply throw the pork on top and turn the heat down very low. 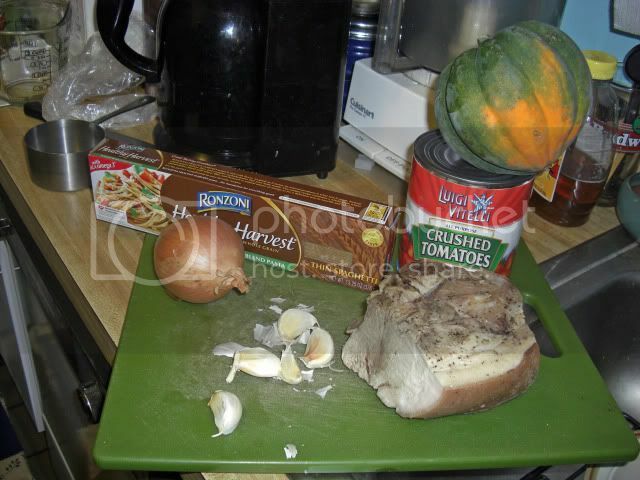 The pork was already cooked so I just wanted to heat it up a bit. 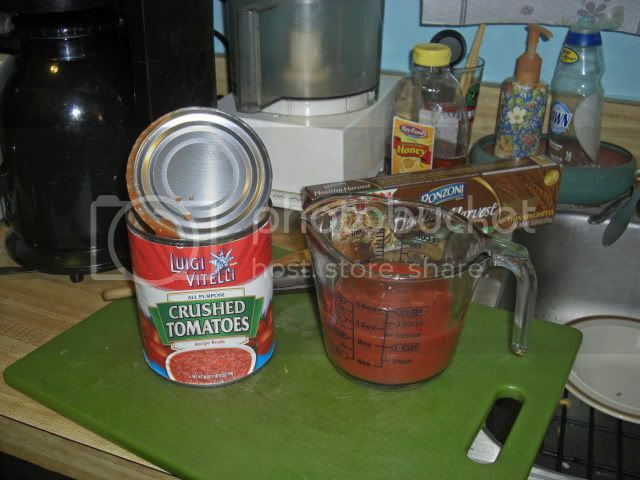 Now, and here was the tricky part, I had to open up the can of tomatoes and measure out one cup. Again, I saved the remaining tomato sauce for future use. 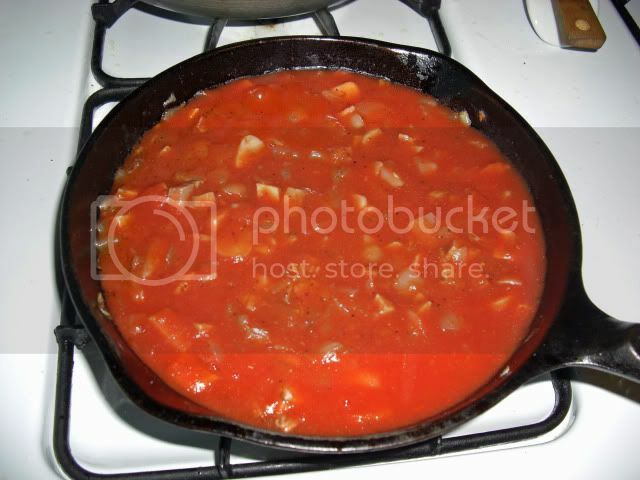 Meanwhile, the spaghetti sauce was coming along nicely. 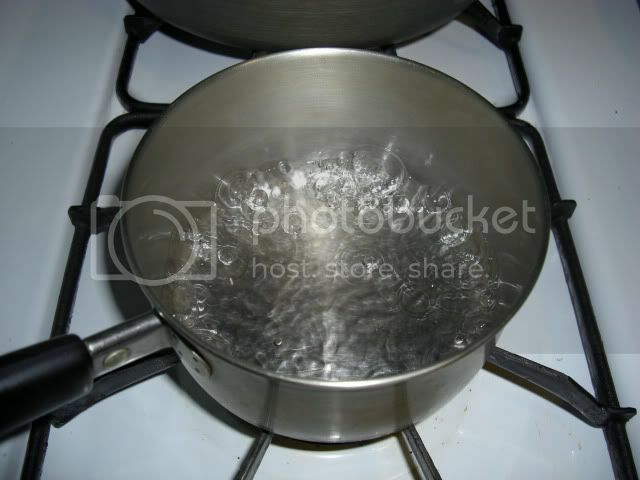 Having mastered the art of boiling water I advanced my skills by adding a pinch of salt and a bit of olive oil and boiling a larger quantity. I am getting really good at this. 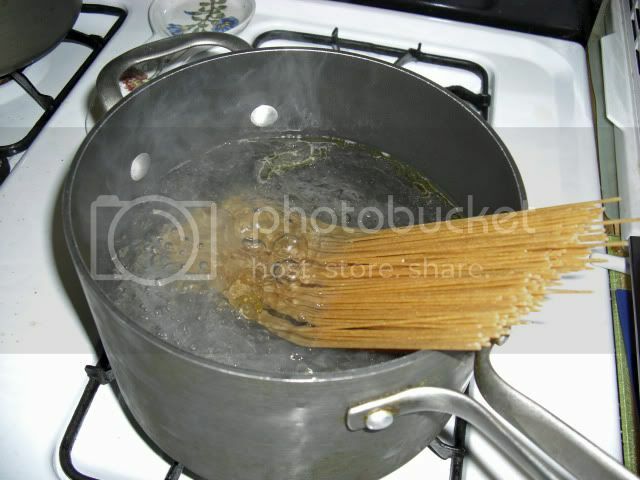 Once the water hit a rolling, or is that roiling, boil I put in about a third of a box of the pasta. While the pasta was cooking, about 7 minutes, I took the squash out of the oven and flipped them over to check them out. It looked like it was done so I scooped out one half. 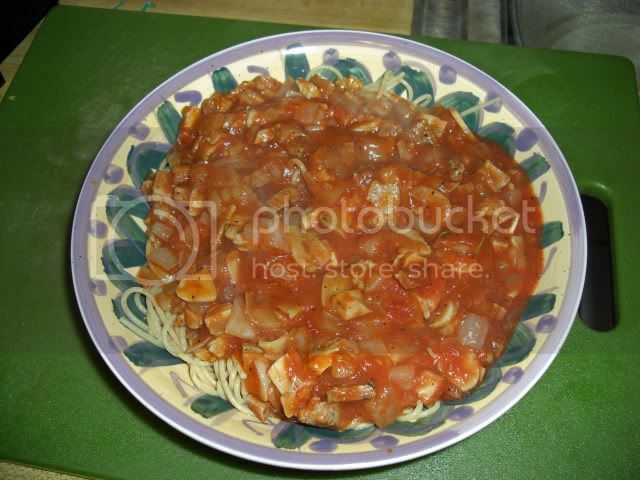 When the pasta was done I strained it, put it into a bowl, and then poured the sauce (gravy for all you Italians) over it. And, the final plating with the squash, restaurant worthy. As usual, I made more than I could eat, so I saved about a third of the pasta and sauce and will probably have that for either lunch or dinner on Monday. 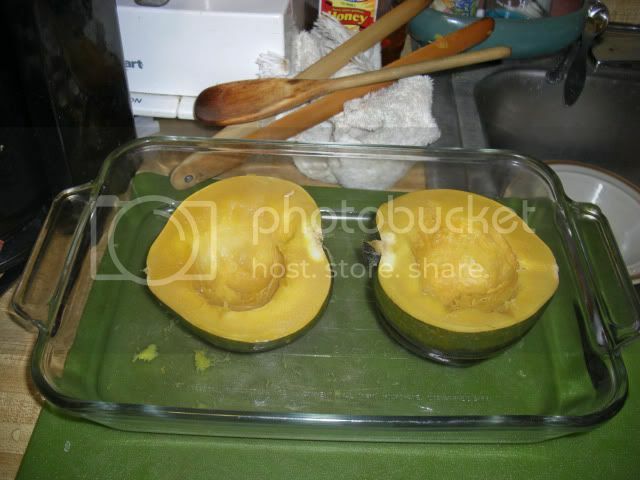 I also had half of an acorn squash left over so I stuck that in the refrigerator too. Tomorrow I am heading to my sister-in-law's for my niece's eighth birthday party. This means I will only have breakfast at home and, for reasons beyond my control, take a half day hiatus from my experiment. I promise, though, I won't just load up on calories. I think you can see that I haven't actually been starving myself so far. Monday I will have to use some more of the pork and then, depending upon how much is left, either freeze the rest or make a stock out it. I will make stock though, you can't just waste that bone. I probably should have saved the bones from the two chicken legs and thighs that I ate but I kind of forgot. I won't make that mistake with the five I have left though. I will save them and freeze them and then, when I have all the bones, make some chicken stock. I woke up this morning and the idea of eating beans and rice with cheese no longer seemed too appealing. 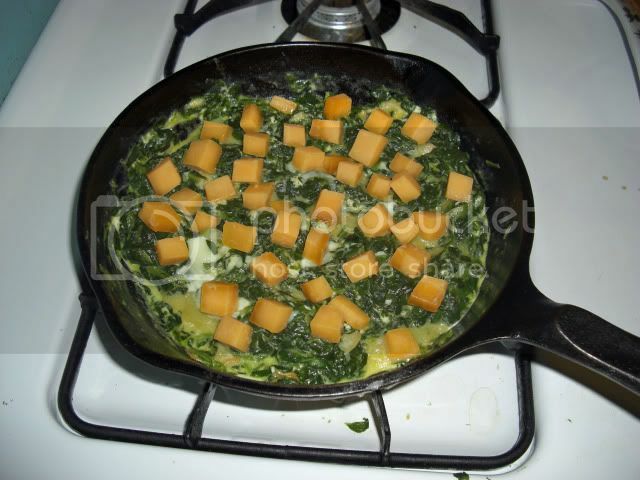 I decided on a spinach omelet instead. Well, the grapefruit wasn't an ingredient. 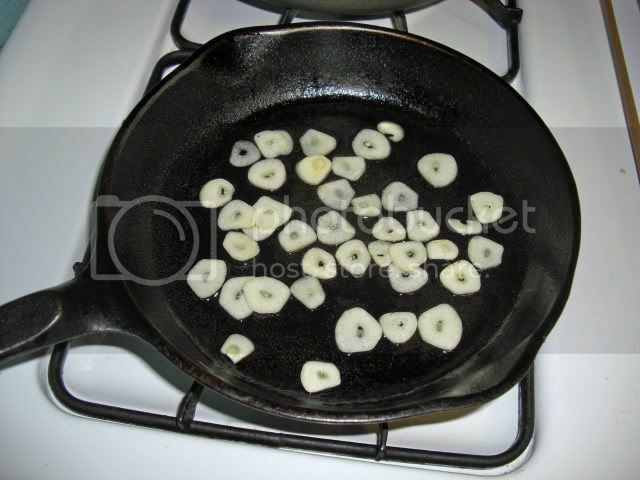 I started by slicing the garlic and then cooking it in olive oil until translucent. 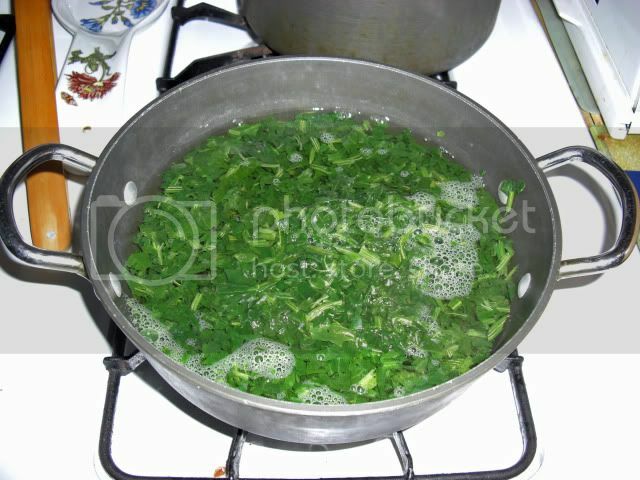 Then I dumped the package of spinach into a pot of water with a pinch of salt and brought it to a boil. 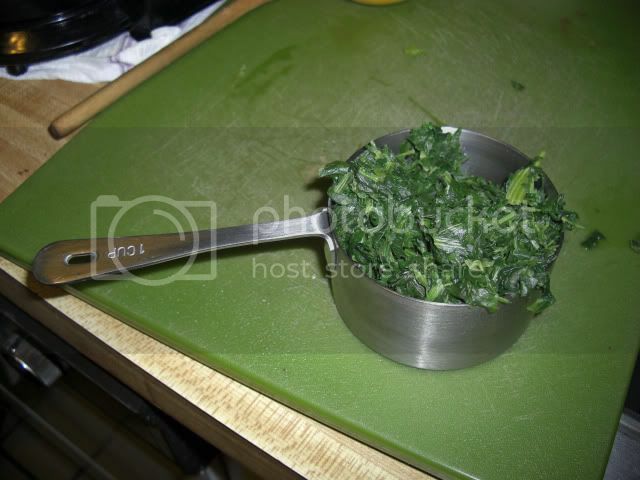 I ended up with more spinach than I could use so I just took a cup for my omelet and then saved all the rest. 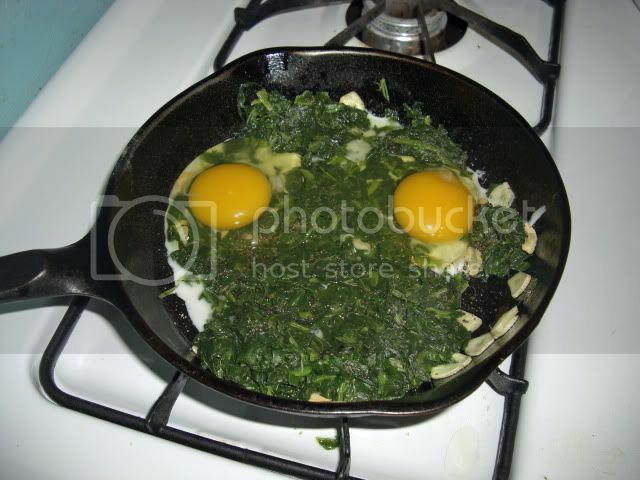 The next step was to throw the spinach on top of the garlic and then crack a couple of eggs over it. 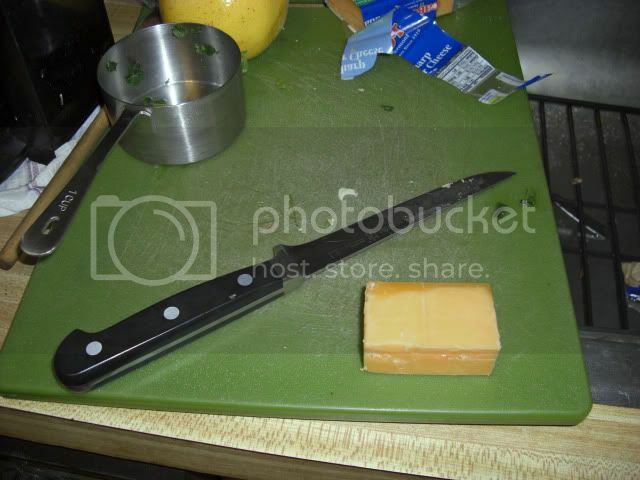 At this point I decided a little cheese would perk this up a bit. 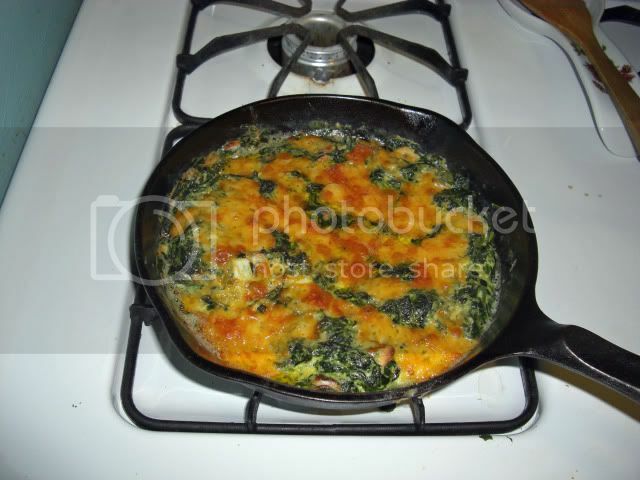 I chopped up the cheese into little chunks and then after scrambling up the eggs, garlic, and spinach I dumped the cheese on top. 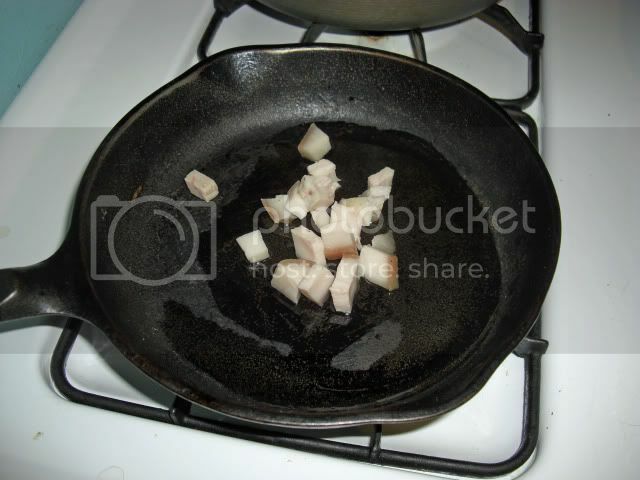 Next step was to stick the frying pan into the broiler for about two or three minutes. I then plated the whole thing and had a mighty fine breakfast. 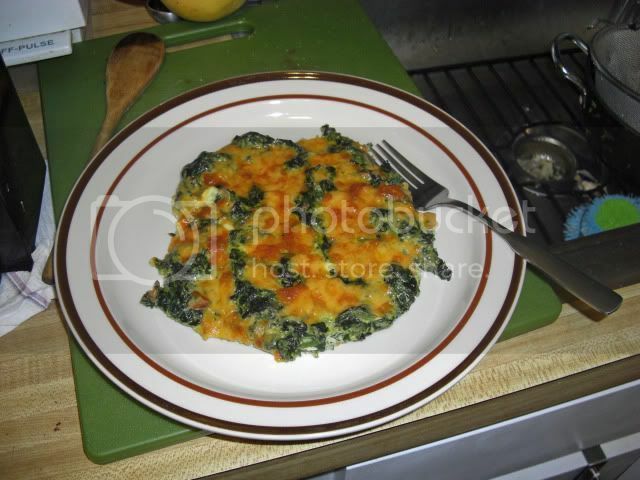 This was a very good breakfast but the next time I make it I will only use one egg and half a cup of spinach. 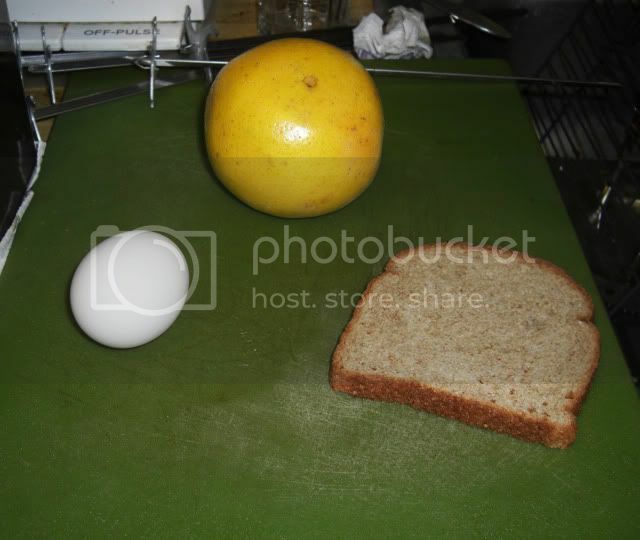 I really was stuffed and didn't even have room for my grapefruit. For lunch I had my usual peanut butter and banana sandwich. I decided to include a picture, but not until after I had made it. I opened it up though and, quite frankly, it doesn't look quite as appetizing. In fact, for some reason, it reminded me of a dirty diaper. 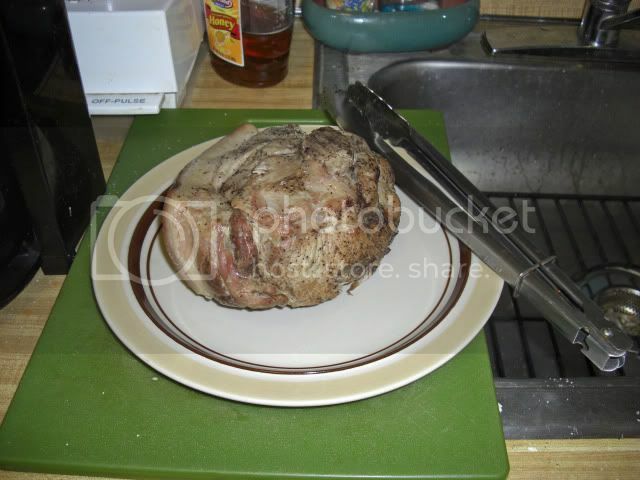 As promised, today I cooked the pork shoulder. First, I just seasoned it with salt and pepper. Next I browned it in the smaller of my two cast iron dutch ovens. After browning I threw in half an onion and a few cloves of garlic and then stuck it into the oven for a few hours. I had the oven set at 225 F.
I cut off a couple of slices that I thought approximated a serving of meat. 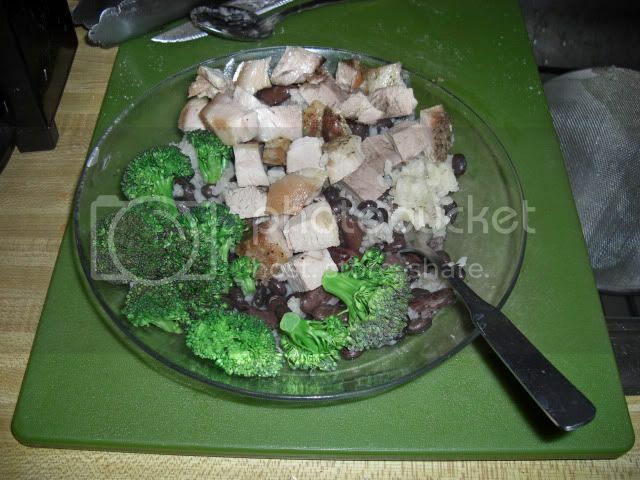 I couldn't avoid the rice and beans forever so I simply heated them in the microwave with a handful of broccoli and then added the pork. I ended up with a tasty and filling dinner. 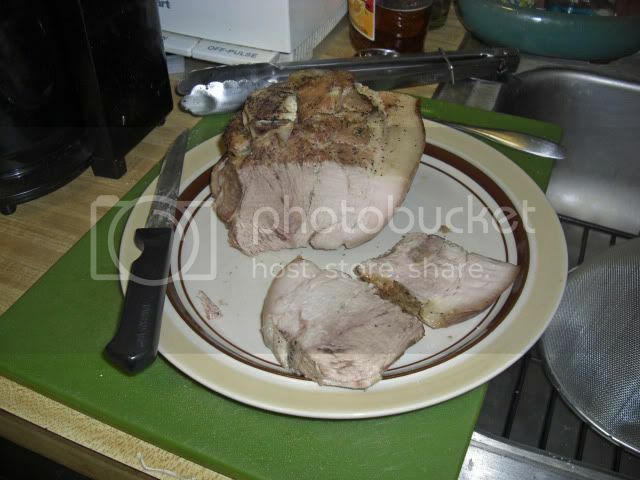 This is what was left after I took the pork shoulder out of the dutch oven. 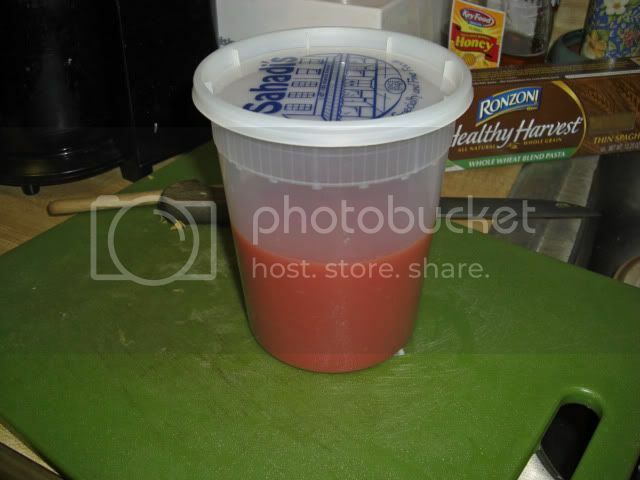 Being of the waste not want not mentality, I poured the stuff through a sieve and then poured it into a plastic container. 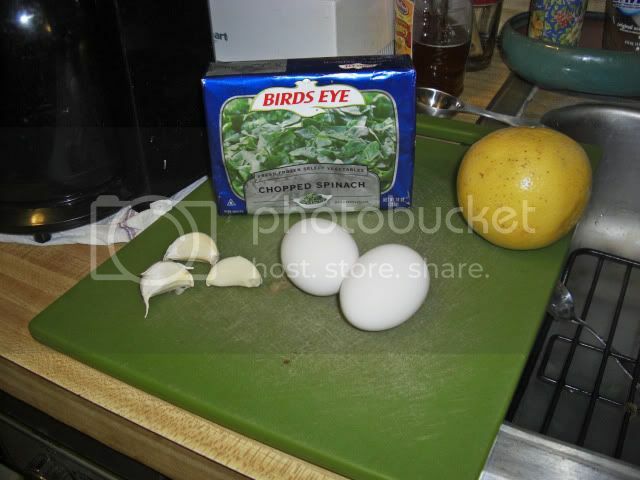 I figure I will use it to add a little flavor the next time I cook up some rice, and to get some grease into my system. Tomorrow I am going to cook up some pasta for dinner. 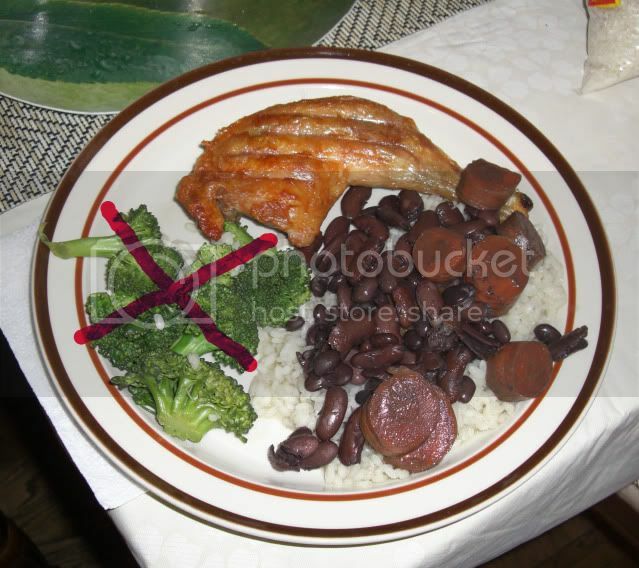 I think I can do without rice and beans for a day or two. 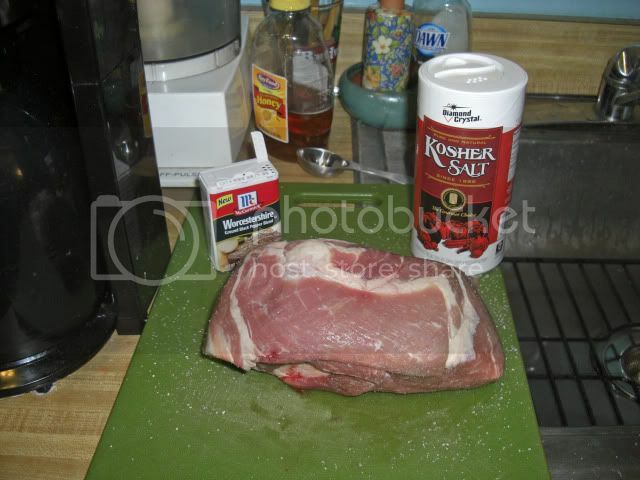 Seeing as how I have plenty of the pork shoulder left I will incorporate that into the sauce, somehow. Oh, I finally had my grapefruit as an after dinner snack. For those of you who might be concerned that I am eating too many eggs, I think I will buy some oatmeal and begin incorporating that into my breakfast routine. Maybe get a package of raisins and some almonds to mix in. 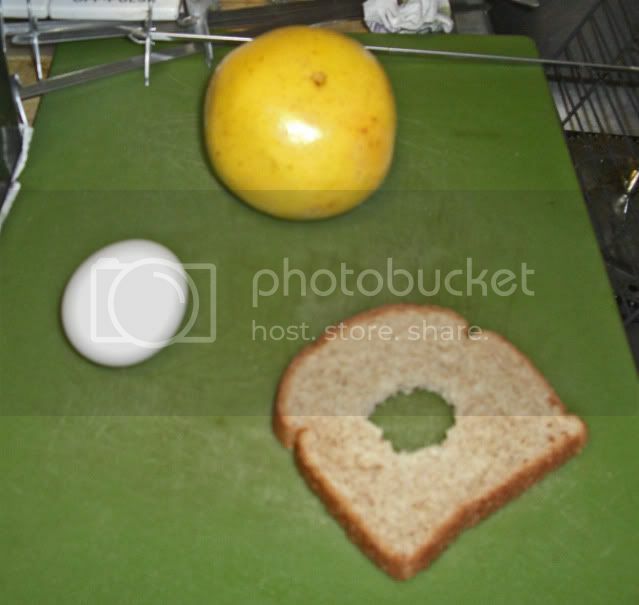 Today I decided to try something a little different for breakfast. 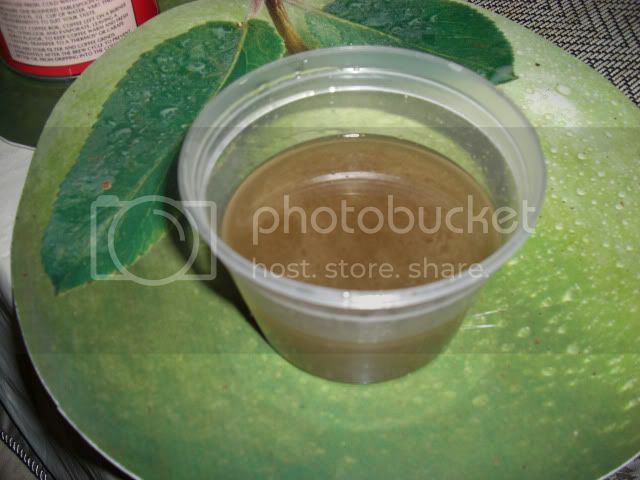 This was something my dear old dad used to make every once in awhile. 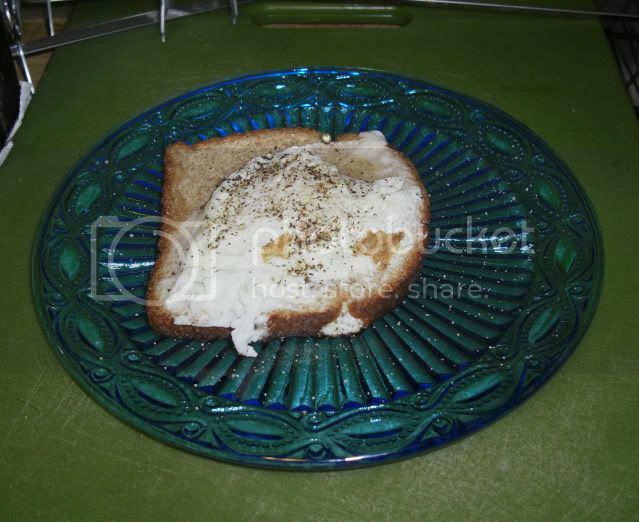 Starting with only a piece of bread and an egg. The grapefruit is just a backdrop, although I did eat it afterward. Okay, you following me camera-guy? Behold, the bread now has a hole in it. I ate the piece that is missing. 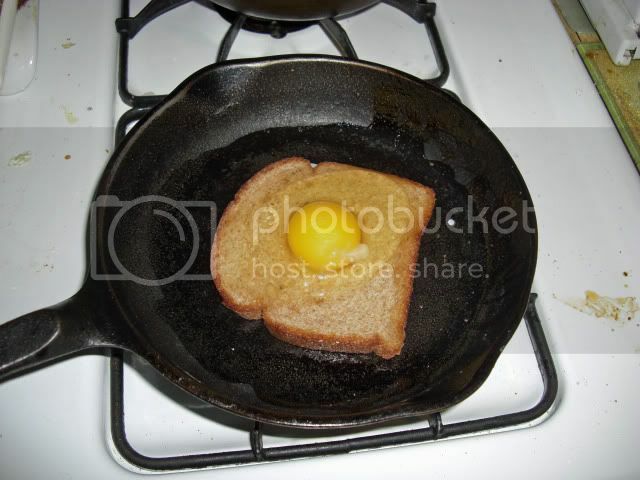 Then you heat a teaspoon of olive oil in your frying pan (I prefer cast iron) and place the bread in the pan and then crack the egg so the yolk is in the hole. 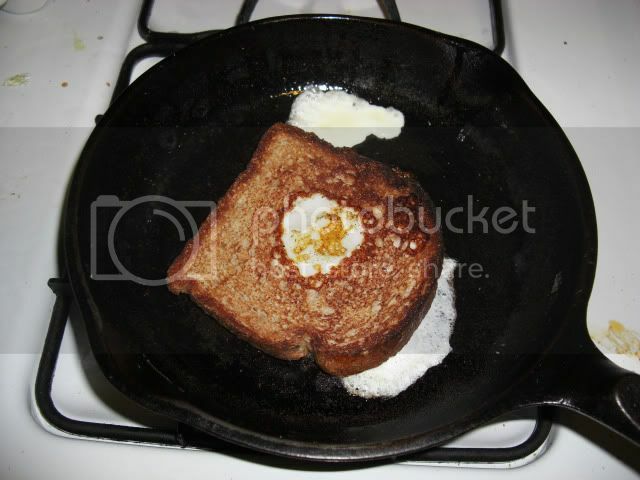 You let the egg fry a bit, just until the bottom of the yolk gets cooked a little, and then you flip the whole thing over. 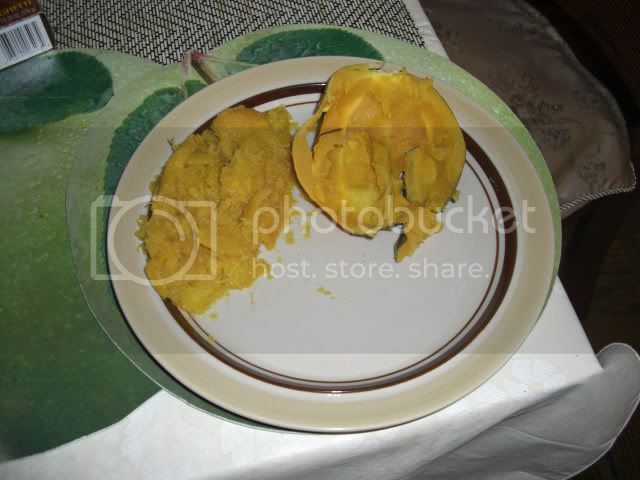 After you have fried the other side of the egg, the one that is now on the bottom, you remove it and plate it. That, along with the grapefruit, was my breakfast this morning. Now if you thought that was interesting, I am sure you will be simply fascinated by my lunch, which was the same thing I had yesterday, but with more pictures. 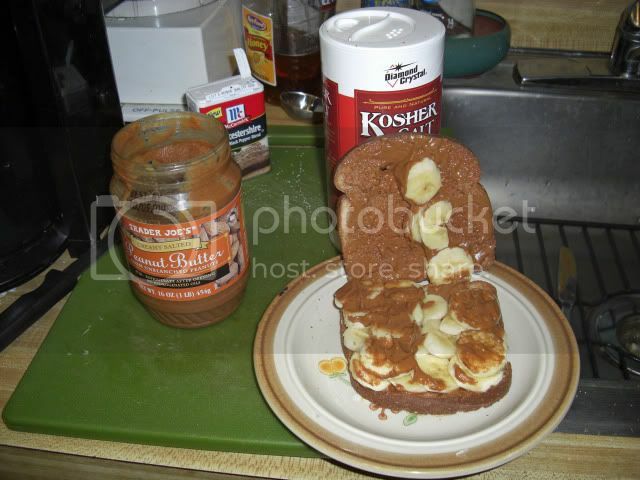 You slice a banana, toast two pieces of bread, and take the peanut butter out of the refrigerator. Arrange tastefully and take a picture. 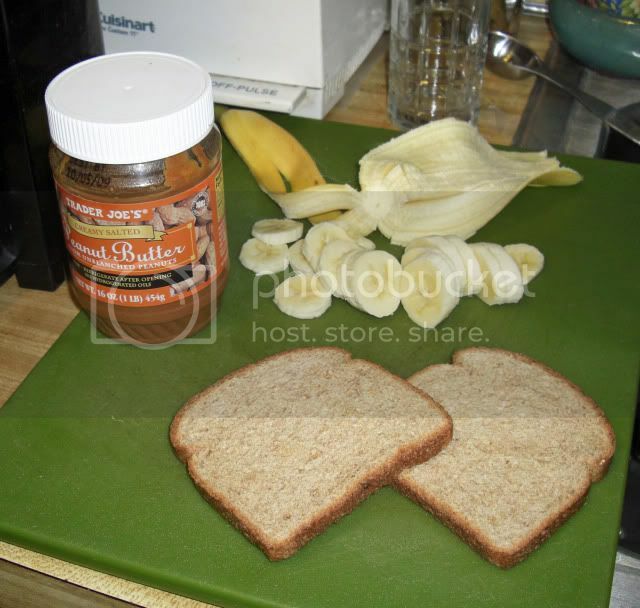 Apply peanut butter to both sides of the toast and then carefully place the slices of bananas on one side. Eat any banana slices that don't fit. 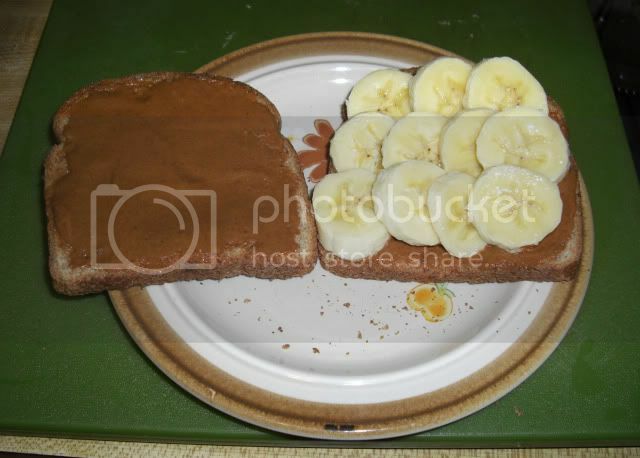 The final step consists of placing the piece of toast without the bananas on top of the piece of toast with the bananas. 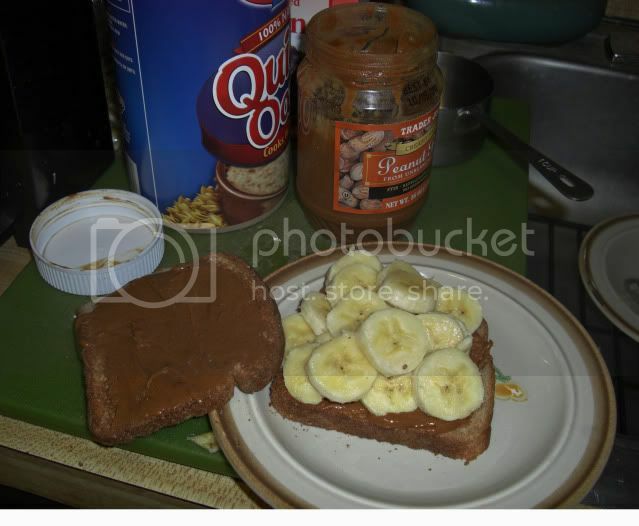 You can try to do it the other way around but you have to either be very quick or make sure the bananas are really stuck into the peanut butter. This really is a very good sandwich. It wouldn't make a bad desert if you trimmed off the crusts and added a scoop of ice cream. Yesterday I made way too much rice and cooked way too many beans. In fact I figure I cooked up about four days worth of the stuff. Seeing as how I had another chicken leg and thigh that I cooked yesterday I just heated that up in the microwave with some of the rice and beans. I skipped the broccoli, though. I forgot to take a picture, so yesterday's will have to do. For an after dinner snack I had a carrot. I have heard that carrot cakes were either invented or became popular during World War I when sugar was being rationed. 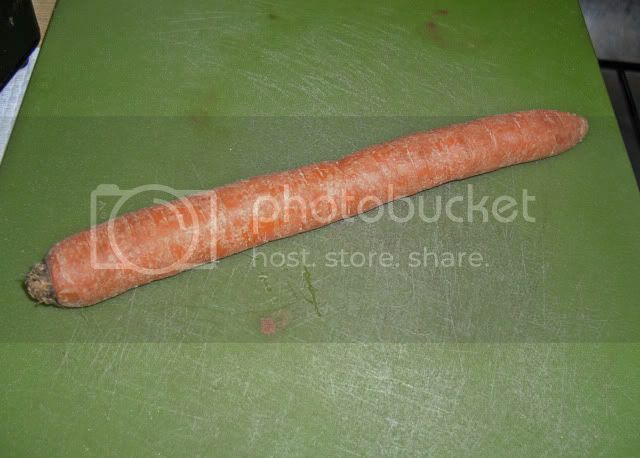 Carrots are very sweet and so you could make a decent cake without using any sugar. 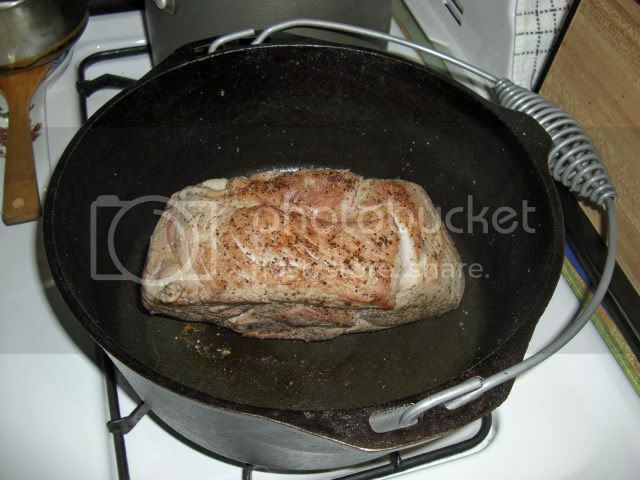 Tomorrow I will have to figure out something to do with my pork shoulder. I suspect I will season it with salt and pepper and then brown it up and cook it in the oven at a low heat for many hours. 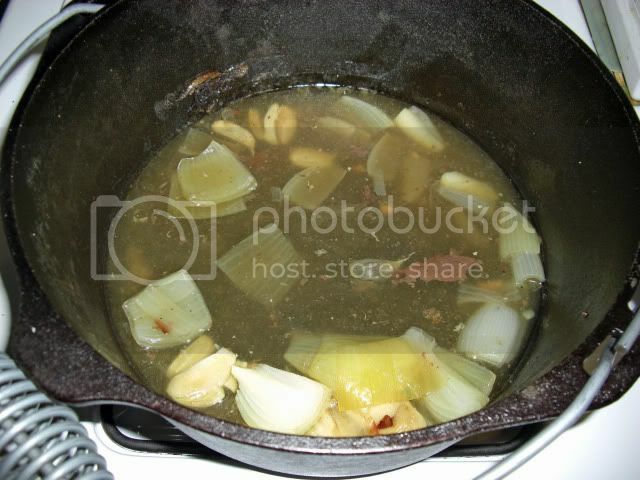 I will probably throw in a few cloves of garlic and half an onion just to add some aroma and flavor. That should give me a nice chunk of fairly tender pork that I can use in a number of ways. 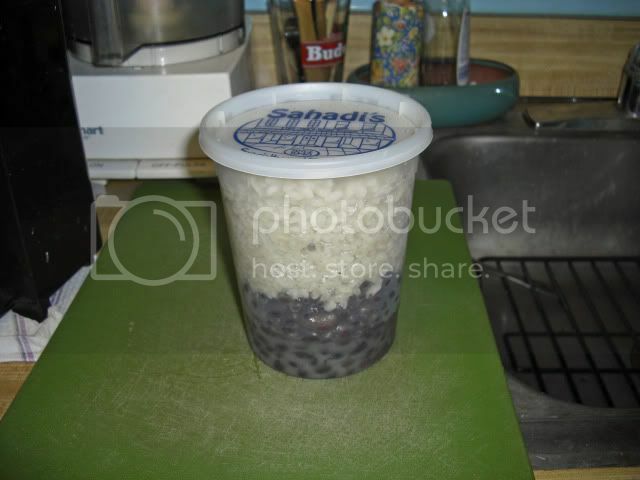 I think I will try melting some cheese over rice and beans for breakfast tomorrow. I have had chili over rice with shredded cheese on top before, so maybe this won't be too bad. Never again will I make such a large batch of rice and beans, though.